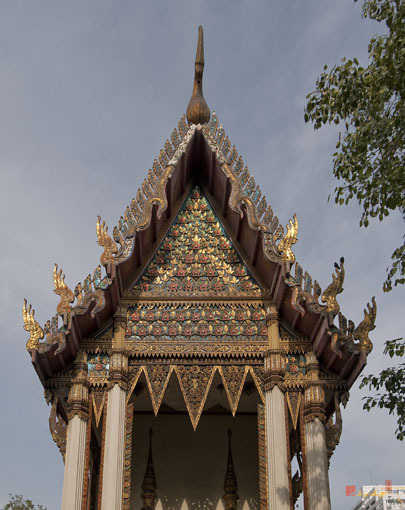 Wat Khanika Phon, วัดคณิกาผล, a civil temple of the Maha Nikai Sect, was built in 1833 (B.E. 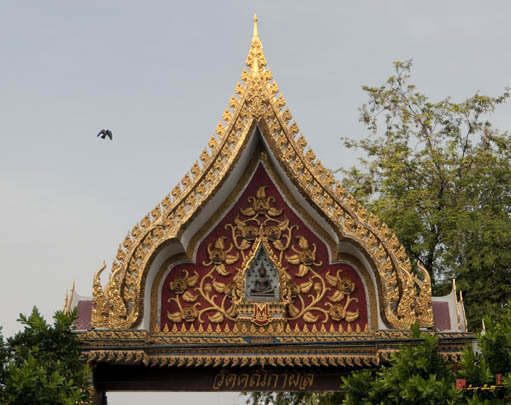 2376) during the reign of King Rama III. 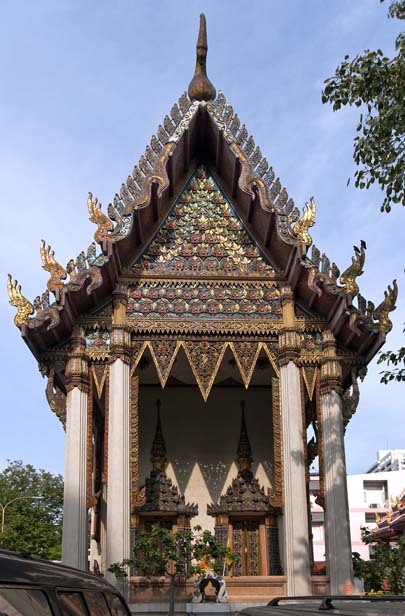 It was built by Khun Yai Faeng (Grandmother Faeng) and thus was called Wat Mai Yai Faeng. Khun Yai Faeng was the owner of a house of prostitution in Trok Tao (Tao Alley). 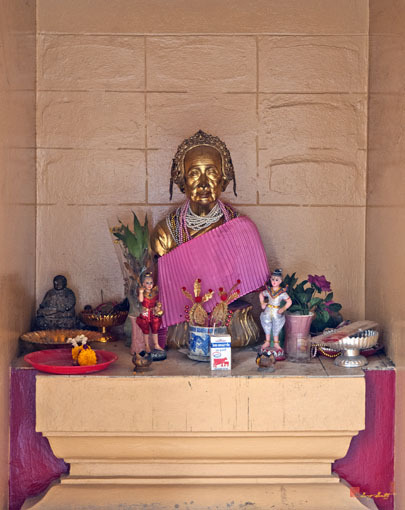 As a devout Buddhist, she raised funds from the girls in her house to build the temple. 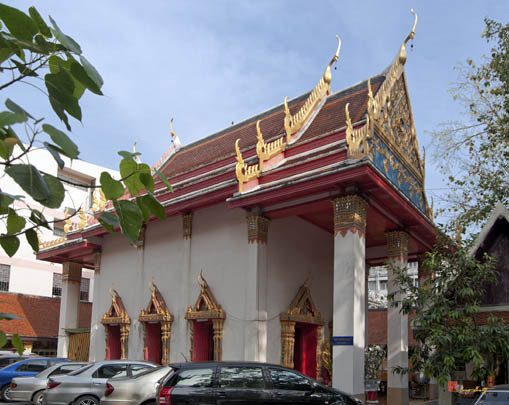 Later, her descendants renovated the monastery and asked for a royal rename from King Rama IV, who granted the name Wat Khanika Phon, meaning "the Temple which was built from the profits of the prostitute". 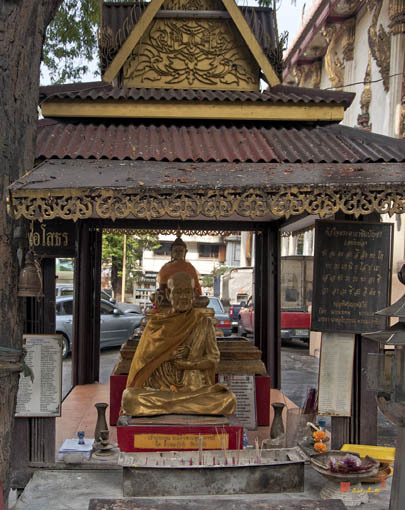 Beside the wall on the back yard of the Ubosot (Ordination Hall), there is an upper body sculpture of Khun Yai Faeng, the founder of the Paorohit family. 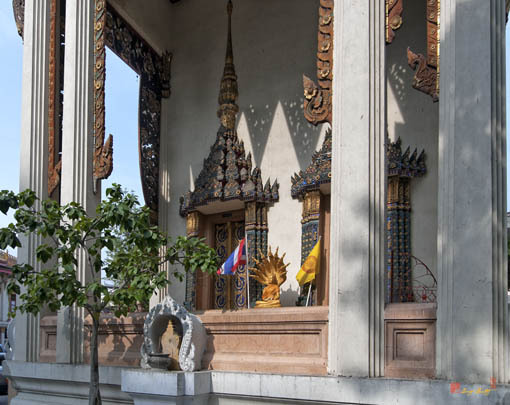 Many original objects and buildings can still be found in the compound, including the principal Buddha image, the Wihan (Sermon Hall), a corridor, one small stupa, several lacquered gold leaf painted cupboards, and the bell tower.